Michael J. Wishnie is William O. Douglas Clinical Professor of Law and Counselor to the Dean at Yale Law School. Professor Wishnie’s teaching, scholarship, and law practice have focused on immigration, labor and employment, habeas corpus, civil rights, government transparency, and veterans law. Michael J. Wishnie is William O. Douglas Clinical Professor of Law and Counselor to the Dean at Yale Law School. Professor Wishnie’s teaching, scholarship, and law practice have focused on immigration, labor and employment, habeas corpus, civil rights, government transparency, and veterans law. For years, Professor Wishnie and his students have represented low-wage workers, immigrants, and veterans in federal, state, and administrative litigation. He and his students have also represented unions, churches, veterans’ groups, and grassroots organizations in a range of legislative, media, and community education matters. Professor Wishnie's recent publications include “A Boy Gets Into Trouble”: Service Members, Civil Rights, and Veterans’ Law Exceptionalism, 97 B.U. L. Rev. ___ (forthcoming 2017); Asking for Directions: The Case for Federal Courts To Use Certification Across Borders, 125 Yale L.J. F. 156 (2015) (with Oona A. Hathaway); Forty Years of First-Year Students Representing Clients at Yale, in E. Capulong, M. Millemann, S. Rankin & N. Ruan, eds., THE NEW 1L: FIRST-YEAR LAWYERING WITH CLIENTS (Carolina Press: 2015); and Immigration Law and the Proportionality Requirement, 2 U.C. IRV. L. REV. 415 (2012). 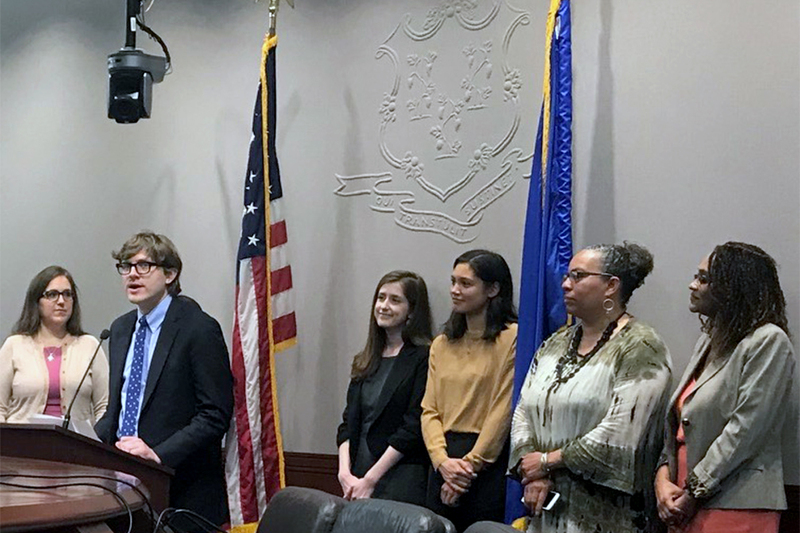 The state of Connecticut issued its first guidelines clarifying the rights of pregnant workers and the obligations of their employers in a paper that students from the Worker & Immigrant Rights Advocacy Clinic at Yale Law School helped research and draft. William O. Douglas Clinical Professor of Law Michael J. Wishnie ’93 is quoted in radio segment about the positive effects of issuing undocumented immigrants driver’s licenses. Law360 reports that the NAACP closed a deal with the U.S. Department of Commerce to secure the release of documents related to the preparations for the 2020 census. The plaintiffs are represented by William O. Douglas Clinical Professor of Law Michael Wishnie ’93 and students from the Rule of Law Clinic. 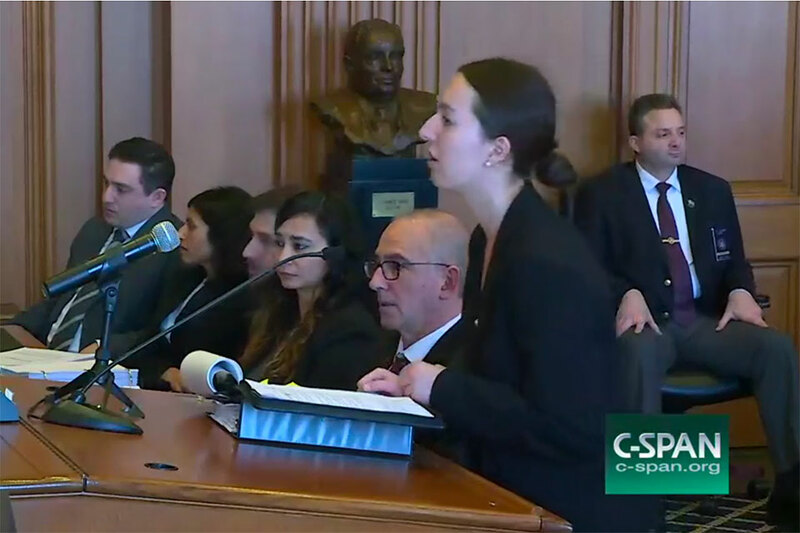 Hannah Schoen ’19 of the Worker & Immigrant Rights Advocacy Clinic (WIRAC) argued before the U.S. Court of Appeals for the Second Circuit in Batalla-Vidal v. Trump on January 25, 2019. When students and faculty from WIRAC realized two children had been separated from their parents at the southern border and shipped thousands of miles away to Connecticut, they immediately jumped into action. William O. Douglas Clinical Professor of Law Michael Wishnie ’93 is quoted in an article about detainer requests used by ICE to keep criminal suspects in lock-up so that they may be brought into federal custody. William O. Douglas Clinical Professor of Law Michael Wishnie '93 is quoted in a story about ICE arresting immigrants who are appearing in court on non-immigration related charges. William O. Douglas Clinical Professor of Law Michael Wishnie '93 is quoted in an article about workplace immigration raids. 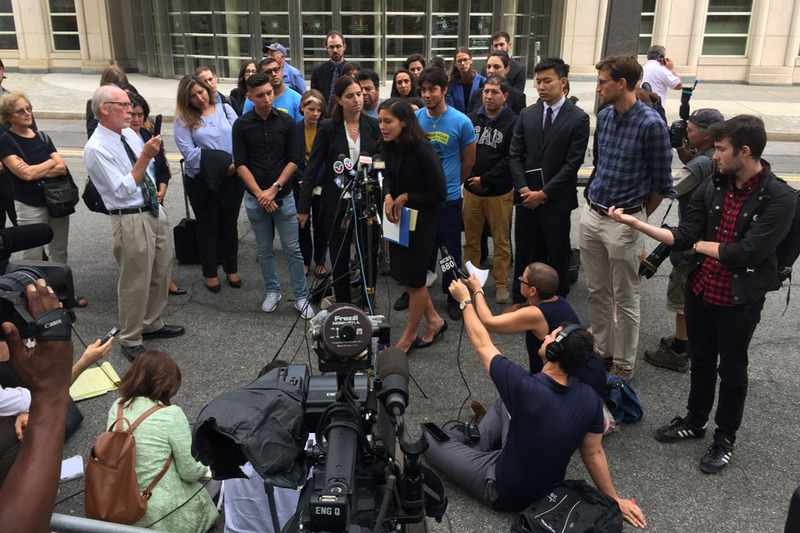 Susanna Evarts ’18 and Emily Villano ’19 addressing the press outside of a WIRAC case hearing on DACA in federal court in Brooklyn. Jordan Goldberg ’19 is quoted, and YLS professor Michael Wishnie ’93, clinical lecturer Aaron Wenzloff, Catherine McCarthy ’19, Jonathan Petkun ’19, Giovanni Sanchez ’19 and Helen White ’18 are mentioned in an article about a former National Guard soldier who won her case to upgrade her discharge status. The soldier was represented by the Veterans Legal Services Clinic. William O. Douglas Clinical Professor of Law Michael Wishnie ’93 is quoted in an article that reports on updates to the legal challenges to President Trump’s plans to end the DACA program. William O. Douglas Clinical Professor of Law Michael Wishnie ’93 is quoted in an article that profiles former students with the Worker and Immigrant Rights clinic: Rebecca Heller ’10, Justin Cox ’08, Simon Sandoval-Moshenberg ’08, Sirine Shebaya ’12, and Swapna Reddy ’16. The Veterans Legal Services Clinic filed a lawsuit on behalf of airmen who were exposed to radiation in a hydrogen bomb accident in Spain. William O. Douglas Clinical Professor of Law Michael Wishnie ’93, clinical lecturer Aaron Wenzloff, and students with the Veterans’ Legal Services Clinic are mentioned in a story about two Army veterans who have petitioned to have their discharge status upgraded by the Army. William O. Douglas Clinical Professor of Law Michael Wishnie ’93 is quoted in an article about a presentation he took part in in Washington regarding the military’s and VA’s handling of other-than-honorable discharges. William O. Douglas Clinical Professor of Law Michael Wishnie ’93 and Visiting Clinical Lecturer in Law Andrew Pincus are quoted in an article about the various legal challenges to President Trump’s rollback of DACA. William O. Douglas Clinical Professor of Law Michael Wishnie ’93 is quoted in an article about a Department of Defense directive that instructs the Army Review Boards Agency to give increased consideration to veterans looking to upgrade their less-than-honorable discharges. William O. Douglas Clinical Professor of Law Michael Wishnie ’93 and students from the Worker and Immigrant Rights Advocacy Clinic are mentioned in an opinion piece on the case of Nury Chavarria who was granted a stay of deportation after seeking sanctuary in a New Haven church. William O. Douglas Clinical Professor of Law Michael Wishnie ’93 and Clinical Associate Professor of Law Marisol Oriheula ’08 are quoted in an article about Nury Chavarria who was granted a stay of deportation after seeking sanctuary in a New Haven church. Ms. Chavarria was represented by students with the Worker and Immigrant Rights Advocacy Clinic. William O. Douglas Clinical Professor of Law Michael Wishnie ’93 is quoted in a story about a woman who has been given sanctuary in a New Haven church after being ordered to leave the country by ICE. William O. Douglas Clinical Professor of Law Michael Wishnie ’93 is quoted in an article about a study showing racial bias in the military justice system. Federal Court cites amicus brief from 42 National Security Officials written by Yale Law School’s Rule of Law Clinic in a ruling against the President’s revised executive order limiting travel from six predominantly Muslim countries. Deputy Dean for Experiential Education and William O. Douglas Clinical Professor of Law Michael Wishnie ’93 is quoted in a profile of visiting clinical lecturer Rebecca Heller ’10. Ms. Heller’s husband, Dan Mullkoff ’10, is mentioned. Deputy Dean for Experiential Education and William O. Douglas Clinical Professor of Law Michael Wishnie ’93 is interviewed about how New Haven responded to ICE raids in 2007. The Rule of Law Clinic at Yale Law School filed an amicus brief on behalf of 40 senior former national security officials on March 15, 2017 in support of the Iraqi Refugee Assistance Project’s lawsuit against the President of the United States. A feature article on the lawsuit filed by the YLS Worker and Immigrant Rights Advocacy Clinic filed in response to Donald Trump’s executive order regarding refugees. Numerous faculty, current students, and alumni are quoted. The work of WIRAC on the immigration Executive Order is discussed in an article and video. Deputy Dean for Experiential Education and William O. Douglas Clinical Professor of Law Michael Wishnie ’93, Sterling Professor of International Law Harold Hongju Koh, Lisa Daugaard ’92, and My Khanh Ngo ’17 are quoted. Sterling Professor of Law and Political Science Akhil Amar ’84 and Deputy Dean for Experiential Education and William O. Douglas Clinical Professor of Law Michael Wishnie are quoted in an article about whether the federal government can withhold funds from sanctuary cities. Sterling Professor of International Law Harold Koh, Deputy Dean for Experiential Education and William O. Douglas Clinical Professor of Law Michael Wishnie ’93, Ray Brescia ’92, and Lisa Daugaard ’95 were interviewed for a feature on their efforts on behalf of Haitian refugees detained at the U.S. Naval base in Cuba after a 1991 coup in Haiti. Deputy Dean for Experiential Education and William O. Douglas Clinical Professor of Law Michael Wishnie ’93 and My Khanh Ngo ’17 and were interviewed as part of a short film about the Worker and Immigrant Rights Advocay Clinic challenge to Trump’s travel ban. A story about how Yale Law students, faculty, and alumni mobilized to fight the presidential executive order on immigration manning certain refugees and immigrants from the U.S.
A story on the WIRAC students’ efforts to stop deportations in the wake of President Trump’s executive order. Deputy Dean for Experiential Education and William O. Douglas Clinical Professor of Law Michael Wishnie ’93 and Clinical Professor of Law Muneer Ahmad are also mentioned. Deputy Dean for Experiential Education and William O. Douglas Clinical Professor of Law Michael Wishnie ’93 is quoted in an article on the legal challenge to the executive order. Deputy Dean for Experiential Education and William O. Douglas Clinical Professor of Law Michael Wishnie ’93 is quoted about whether Donald Trump’s executive order regarding federal immigration law can be enforced. Deputy Dean for Experiential Education and William O. Douglas Clinical Professor of Law Michael Wishnie ’93 is quoted in an article about the difficulty faced by veterans seeking to upgrade their discharge status from less-than-honorable. Deputy Dean for Experiential Education and William O. Douglas Clinical Professor of Law Michael Wishnie ’93 is quoted in an article about potential deportation of undocumented immigrants under the incoming administration. Deputy Dean for Experiential Education and William O. Douglas Clinical Professor of Law Michael J. Wishnie ’93 was quoted in an article about an immigration case filed by WIRAC, Make the Road New York, and the National Immigration Law Center against the federal government. Deputy Dean for Experiential Education and William O. Douglas Clinical Professor of Law Michael Wishnie ’93 is quoted in an article about concerns over the veracity of information introduced at Supreme Court cases involving immigration. 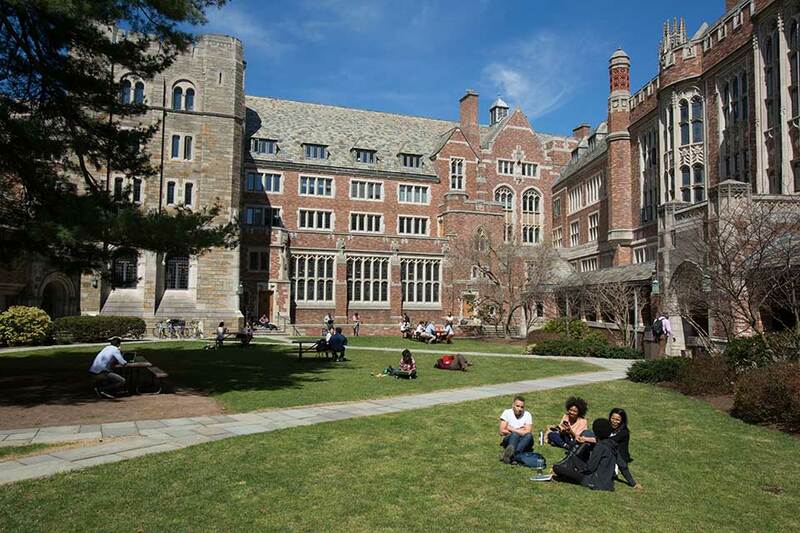 Deputy Dean for Experiential Education and William O. Douglas Clinical Professor of Law Michael Wishnie ’93 is quoted in an article about Bill 414, now before the Connecticut state government, that seeks to clarify Yale’s tax-exempt status. Deputy Dean for Experiential Education and William O. Douglas Clinical Professor of Law Michael Wishnie ’93 is quoted in an article about the number of Vietnam veterans who have been able to receive disability benefits related to their exposure to Agent Orange. Andrea Levien ’17 and Avinash Samarth ’16 are quoted, and supervising attorneys Nicole Hallett ’08, Jason Parkin, and Michael Wishnie ’93 are mentioned in an article about developments in the case of two Connecticut residents deported to Italy by Immigration, Customs and Enforcement. Meghan Ram ’18 and Aaron Korthuis ’17 are quoted and Deputy Dean for Experiential Education and William O. Douglas Clinical Professor of Law Michael Wishnie ’93 is mentioned in an article about two Connecticut residents deported to Italy by Immigration, Customs and Enforcement. The two are represented by the Worker & Immigrant Rights Advocacy Clinic, the Veterans Legal Service Clinic and the Criminal Justice Clinic. The Veterans Legal Services Clinic is mentioned and YLS professor Michael Wishnie ’93 is quoted in an article about veterans seeking to reevaluate less-than-honorable discharges due to PTSD. Deputy Dean for Experiential Education and William O. Douglas Clinical Professor of Law Michael Wishnie ’93 was interviewed about the vacancy left by the death of Supreme Court Justice Antonin Scalia. The Veterans Legal Services Clinic at Yale Law School received a settlement in the U.S. District Court in Connecticut in Vietnam Veterans of America et al v. Dept. of Defense et al. Deputy Dean for Experiential Education and William O. Douglas Clinical Professor of Law Michael Wishnie ’93 is quoted in an article about support for undocumented immigrants facing potential deportation. The Worker and Immigration Rights Advocacy Clinic is mentioned. The Vets Clinic held a press conference about a report based on newly disclosed records revealing an increase in the approvals of discharge upgrade applications from veterans with PTSD. Senator Richard Blumenthal ’73 and Elizabeth Dervan ’17 are quoted, and the Jerome N. Frank Legal Services Organization is mentioned, in an article on efforts to get data from the Department of Defense on the number of veterans who have requested discharge status upgrades. Deputy Dean for Experiential Education, William O. Douglas Clinical Professor of Law, and director of the Jerome N. Frank Legal Services Organization Michael Wishnie ’93 is quoted in an Associated Press article about improved relations between East Haven’s Latino community and its police force. YLS clinical professor and Director, Jerome N. Frank Legal Services Organization, Michael Wishnie ’93 is quoted in an article about communities that have limited cooperation with Immigration and Custom Enforcement in reaction to the 2008 Secure Communities program. The Workers and Immigrant Rights Advocacy Clinic is mentioned. Deputy Dean for Experiential Education, William O. Douglas Clinical Professor of Law, and director of the Jerome N. Frank Legal Services Organization Michael Wishnie ’93 is quoted, and the Veterans Legal Services Clinic mentioned, in an article about work being done by law school veterans clinics across the country. Deputy Dean for Experiential Education, William O. Douglas Clinical Professor of Law, and director of the Jerome N. Frank Legal Services Organization Michael Wishnie ’93 and Virginia McCalmont ’15 are quoted in an article about five Vietnam War veterans who were granted upgrades to their discharge status after filing suit against the Armed Forces. The Yale Law School Veterans Legal Clinic, who represented the veterans, is mentioned. Vietnam combat veterans who brought a class action lawsuit in federal court have won: the Pentagon has agreed to upgrade each man’s “other-than-honorable” discharge status. Vietnam Veterans of America and the National Veterans Council for Legal Redress filed suit against the Department of Defense and the Departments of the Army, Navy, and Air Force to compel the release of records regarding their discharge of veterans with post-traumatic stress disorder (PTSD). Former workers from Goodfellas Restaurant in New Haven filed a federal lawsuit against the restaurant alleging, wage theft, harassment, and racketeering offenses. The lawsuit was filed by the Worker & Immigrant Rights Advocacy Clinic at Yale Law School. Deputy Dean for Experiential Education, William O. Douglas Clinical Professor of Law, and director of the Jerome N. Frank Legal Services Organization Michael Wishnie ’93 is quoted in an article about improved relations between the East Haven police department and the town’s Hispanic community. The Veterans Legal Services Clinic at Yale Law School filed a lawsuit Monday on behalf of a Marine Corps veteran and thousands of other veterans seeking to compel the Secretary of Veterans’ Affairs to decide initial disability compensation appeals that have been pending more than one year. Deputy Dean for Experiential Education, William O. Douglas Clinical Professor of Law, and director of the Jerome N. Frank Legal Services Organization Michael Wishnie ’93 is quoted in a story on a lawsuit filed by the Veterans Legal Services Clinic, the ACLU, and the Service Women's Action Network. The complaint alleges that the U.S. Department of Defense did not respond to previous requests for data on recruitment tactics and gender targets. Michael J. Wishnie ’93 is the Deputy Dean for Experiential Education and the William O. Douglas Clinical Professor of Law at Yale Law School. This information or any portion thereof may not be copied or disseminated in any form or by any means or downloaded or stored in an electronic database or retrieval system without the express written consent of the American Bar Association. The Worker & Immigrant Rights Advocacy Clinic (WIRAC) at Yale Law School recently secured another victory when Judge Michael A. Ponsor ‘74 ruled that Immigration and Customs Enforcement (ICE) must provide bond hearings to detained immigrants while their deportation hearings are being appealed. 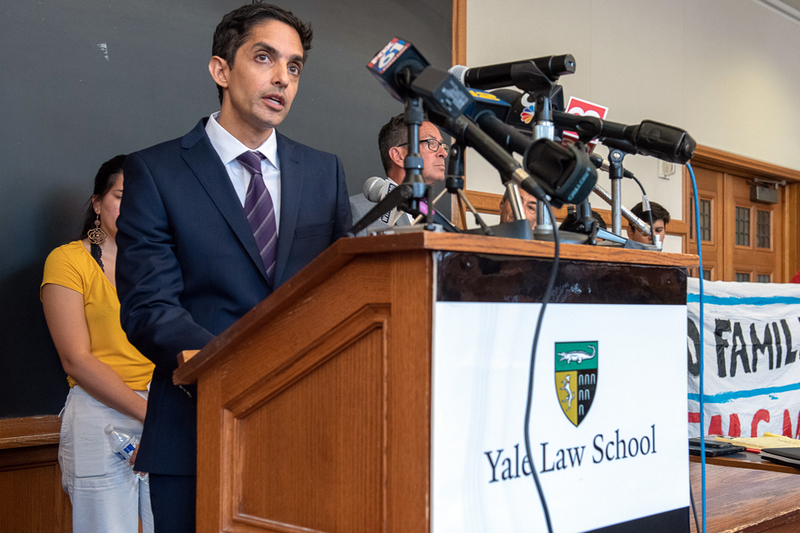 The South Asian Bar Association of Connecticut presented its 2014 Community Service Award to the Yale Law School Worker and Immigrant Rights Advocacy Clinic on October 28 in Hartford. Civil rights plaintiffs in Chacón v. East Haven Police Department today announced a groundbreaking settlement with the Town of East Haven. In what is believed to be a first-of-its-kind lawsuit, U.S. Army National Guard veteran William Cowles is challenging the illegal denial of his application for medical retirement and asserts that the Army hastily discharged him based on an erroneous diagnosis of adjustment disorder when he should have been medically retired for post-traumatic stress disorder. Michael J. Wishnie's ’93, will present his inaugural lecture as the William O. Douglas Clinicial Professor of Law Monday, April 8, 2013. 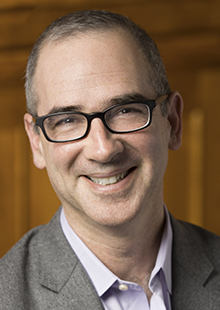 Michael Wishnie ’93, a clinical professor of law at Yale Law School and director of the Jerome N. Frank Legal Services Organization, has been named the William O. Douglas Clinical Professor of Law at Yale Law School. 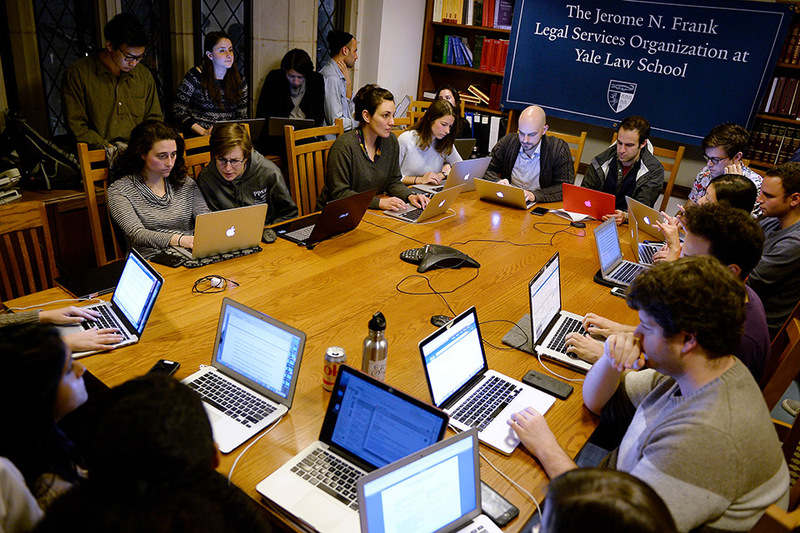 Yale Law School is taking part in an educational initiative that enables students to watch live streaming video of oral arguments heard before the Ninth Circuit Court of Appeals. 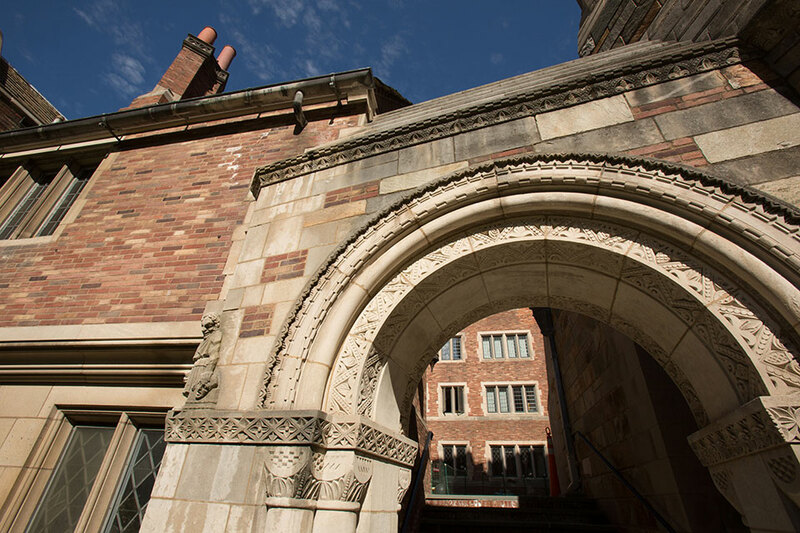 Yale Law School has launched a new clinic to train students to address the needs of Connecticut’s military veterans. The Story of Hoffman Plastic Compounds, Inc. v. NLRB: Labor Rights Without Remedies for Undocumented Immigrants (with Catherine Fisk), in Laura Cooper & Catherine Fisk, eds., LABOR LAW STORIES (Foundation Press: 2005). Laboratories of Bigotry? Devolution of the Immigration Power, Equal Protection, and Federalism, 76 N.Y.U. L. REV. 493 (2001). Reprinted in 22 IMM. & NAT. L. REV. 51 (2002). Aliens and the Duty of Nonrefoulement: Haitian Centers Council v. McNary, 6 HARV. HUM. RGTS. L. J. 1 (1993) (with others).